Sydney’s The Great Synagogue will present thirty selected highlights from the collection of historical and contemporary portrait paintings from its AM Rosenblum Museum. 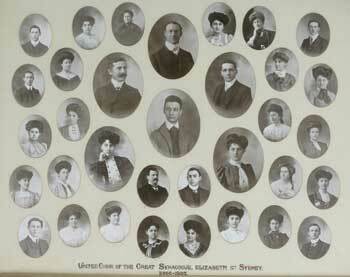 The exhibition will introduce the faces of the Jewish men and women who contributed to the development of the oldest continuous congregation in Australia, whose history reaches back into the 1820s. The AM Rosenblum Jewish Museum was established in 1982 and for the next eighteen months will be transformed into the portrait gallery, presenting an insight into the quality of early Anglo-Australian painting. The exhibition GREAT PERSONALITIES introduces artists usually found in mainstream galleries in Australia and includes well-known portraitists such as Joseph Wolinski (1872 – 1955), Jerrold Nathan (1889 – 1979), William Pidgeon (1909 – 1981) and Robert Hannaford (b.1944). 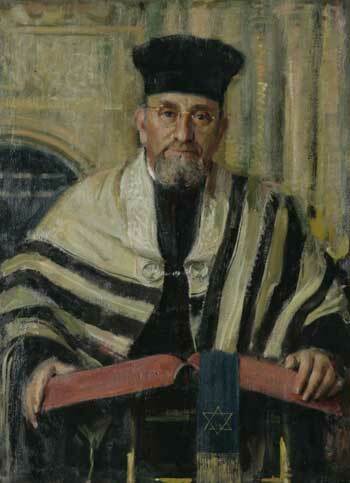 The growing Jewish community and its developing confidence and prosperity during the first decades of the nineteenth century led to increased demand for portraits. These portraits moved from family depictions and scenes, to demonstrations of social status and communal significance. 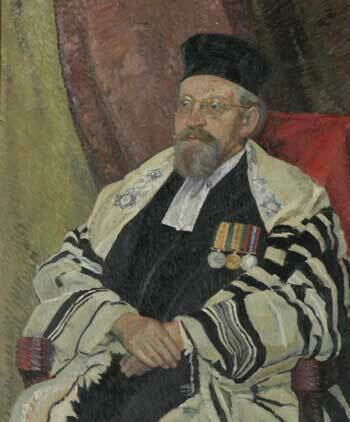 Furthermore, several paintings commissioned by Jewish leaders in the twentieth century were entered into the prestigious Archibald Prize for portraiture, and some of them, such as the portrait of Rabbi Dr Israel Porush by William Pidgeon won the coveted prize in 1962. The Great Synagogue in Sydney has been a proud symbol of historical significance for more than five generations of Australian Jewry and a major landmark of Sydney. It is the only high Victorian style Synagogue in Australia and represents one of the most elaborately decorated Victorian buildings in Sydney, internally and externally. The building also represents one of the finest works of the leading NSW architect, Thomas Rowe (1829 – 1899) and his sketches are included in the exhibition. The exhibition has been curated by a duo of historians, Rabbi Dr Benjamin Elton who joined The Great Synagogue as Chief Minister in 2015 and guest curator Jana Vytrhlik, curator from the Sydney Jewish Museum and doctoral candidate in Art History at the University of Sydney. 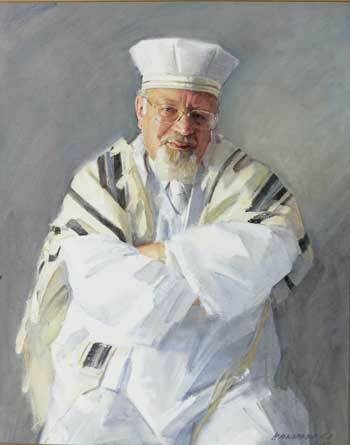 The selected portraits span over 150 years and represent not only the artistic achievements but also introduce many aspects of the life of The Great Synagogue as well as of the community at large. Not surprisingly, the exhibition is centred on the spiritual and communal life of the congregation. 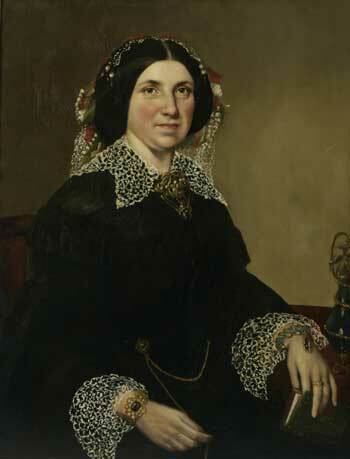 Although some services were conducted in Sydney as early as 1820, the first historical evidence of Jewish worship dates to 1828 when a free settler Philip Joseph Cohen, whose 1857 portrait welcomes the visitors into the exhibition, initiated regular services in his house in George Street. A beautifully restored portrait of the Rev. 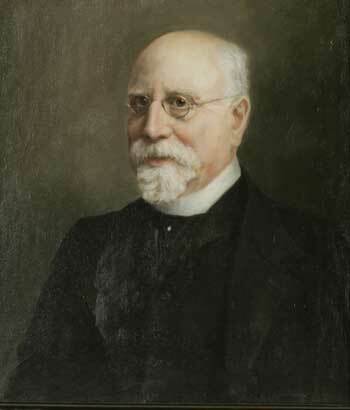 Alexander Barnard Davis, who served as Chief Minister of The Great Synagogue when it opened in 1878, is also prominently displayed. Many visitors will be familiar with recent names of Chief Ministers such as Rabbi Dr Israel Porush, Rabbi Dr Raymond Apple and Rabbi Jeremy Lawrence who were all deeply committed to the Synagogue and its community. The collection of the AM Rosenblum Jewish Museum houses several significant objects and archival records documenting the early history of the old York Street Synagogue (opened in 1844, now lost). Highlights of these are displayed in the 1844 original Ark from the York Synagogue, and include period images of the synagogue’s Egyptian style architecture as well as a precious book, the Pentateuch (printed in 1799 in London) from which Phillip Joseph Cohen read in 1828 the portion of the Law at the first authorised service of the Jewish residents in Sydney in his house in George Street. The display ‘History in Focus’ will change several times a year to present more of the highlights of the AM Rosenblum Museum collection during the life of the ‘Great Personalities’ exhibition.